Mazda's RX-8 is a completely different sort of sports car, and it's on its way into retirement, but buyers looking for similar fun in a more practical package might consider it instead. The 2012 Mazda MX-5 is a true sports roadster with great handling and fun at any speed, and more practical than you might think. Mazda's MX-5 Miata is an icon, and the 2012 model builds on the success of the third-generation model with few changes but all of the sporting fun we've grown to expect from the little roadster. Two core models constitute the range: a soft-top convertible and a Power Retractable Hard Top that packages a sleek folding hard roof neatly and attractively, effectively turning the MX-5 into a coupe on demand. The exterior styling retains its classic roadster proportions, though a more cheerful front bumper introduced in 2009 has met with some controversy. Inside, the layout is simple and in some ways spartan, but with easy-to-use controls and attractive chrome and silver accents to brighten things up. A range of trim packages offer a choice between five- and six-speed manual transmissions or a six-speed automatic, as well as varying levels of interior upgrades, including leather seating. The entire range is powered by a single 2.0-liter four-cylinder engine rated at 167 horsepower. It's not exactly a powerhouse, but it is responsive and ready to rev, a perfect mate to the carefully-honed chassis. Quick steering, nimble responses, low weight (under 2,600 pounds in all guises) and nearly perfect 50/50 weight distribution all contribute to the car's predictable, balanced handling, both at low speeds and at higher track-worthy speeds. Whether you choose the easy-folding manual soft top or the power hard top, going from top-up to top-down and back again is a breeze. The soft top does let in quite a bit of noise, but the hard top does a better job of muffling the road and wind noise at speed. Being a sports-focused roadster, the MX-5 offers a balanced range of features, though it skips some higher-end features. Power accessories are standard, as is a CD player and tilt steering. Upgrade to a Touring model and you get keyless entry, a trip computer, and cruise control, while Grand Touring models mix in heated leather seats, automatic climate control, and other conveniences. Traction control is available on most models, but electronic stability control is not. Standard anti-lock brakes, front and seat-mounted side airbags, however, offer a measure of safety. Neither the NHTSA nor the IIHS have crash-tested the 2012 MX-5. Neither cartoonish nor excessively bloated, the 2012 Mazda MX-5 holds true to its roots despite two generations and 22 years since its introduction. Unchanged for 2012, the Mazda MX-5 Miata carries on with its 2009 redesign and 2010 updates, but most will find that to be a good thing. 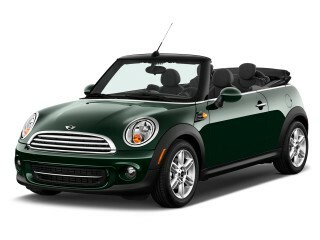 The design is classic two-seat roadster, with clean, straightforward proportions, simple curves, and minimal bling. One complaint some might have with the 2012 MX-5's look is the rather smiley grille opening, but if you don't dwell on it in a vacuum, it actually fits the MX-5's look. Gently flared fenders, smooth surfaces, and a lightly contoured hood are the primary cues. The Power Retractable Hard Top model adds a different take to the MX-5's look, essentially turning it into a coupe with the top up, but retaining the classic roadster look with it down. A separate detachable hard top is available for the soft-top models. Inside, the MX-5 Miata continues to be somewhat spartan in base trim, with cloth seats and simple black plastic surfaces. The steering wheel is leather-wrapped in all but the entry-level model. 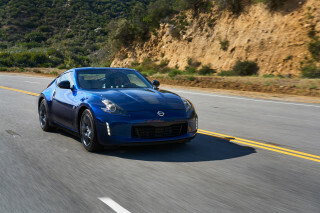 Climbing the trim range, however, can add heated leather seats, more chrome trim, and other aesthetic nods to greater prosperity--though some may view these changes as moving away from the minimalist sports car spirit of the MX-5. True sports car handling, adequate power for its weight, and a classic roadster experience make the 2012 Mazda MX-5 unique. Blending light weight, nimble handling, and enough power to get the job done, the rear-drive 2012 Mazda MX-5 is nearly unique on the market. New additions from Toyota, Subaru and Scion will expand available alternatives, but the MX-5 will still be the only rear-drive, lightweight, inexpensive convertible sports car around. Powered by a revvy 2.0-liter four-cylinder engine, rated at 167 horsepower, the MX-5 isn't exactly quick, but it gathers speed well thanks to short gearing, particularly in six-speed models. 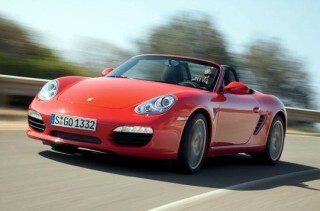 Five-speed cars have slightly longer gearing down low, but settle in well at freeway speeds. 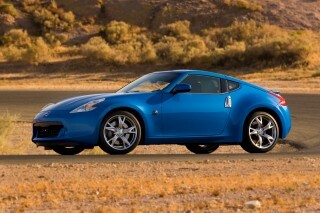 Zero to 60 mph times vary by the trim and soft or hard top choice, but the range gets to 60 mph in about seven seconds. Nearly ideal 50/50 front-rear weight distribution makes handling predictable out of the box, and the quick, accurate steering is well-weighted. Go-kart-like is the most common epithet for the MX-5's low-speed handling, and at high speeds, such as those seen on track, the MX-5 is poised. Somewhat soft springs and relatively tall aspect-ratio tires make for a comfortable ride, but also induce more body roll than you might expect out of a sub-2,600-pound car. A six-speed automatic transmission is available as an option on higher-end models, outfitted with steering wheel-mounted shift paddles. The light clutches, short, precise lever throws, and sheer involvement of the manual transmissions make them the choice of our editors, however, enhancing the experience of open-top motoring in a roadster like the MX-5. 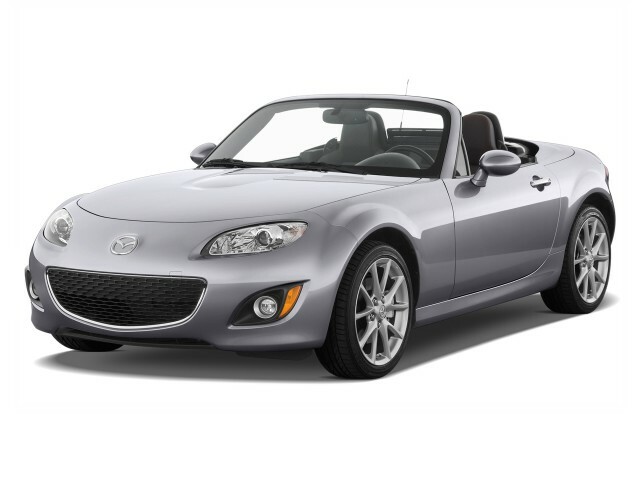 Despite its small size, the 2012 Mazda MX-5 is surprisingly comfortable and practical. Given the MX-5 Miata's exterior dimensions, you might expect the interior to be tiny, and you wouldn't be wrong, but you wouldn't be entirely correct, either. The MX-5 uses its interior volume with surprising efficiency, allowing even drivers over six feet in height to comfortable drive or ride in comfort. With the top up, headroom can be at a premium, but with the top down, the sky is literally the limit. The seats are well-contoured, supportive, and bolstered for sporty driving, though the optional leather seats can be a bit slippery in vigorous maneuvers. Storage space is more abundant than you might expect, too. Glove box space is fair, if not voluminous; there's a center console cubby that doubles as a dual drink holder; two more cupholders can be found in either door; a larger center cubby between the seats can be locked for secure storage; and two larger cubbies behind each seat complete in-cabin storage. The trunk is also quite roomy, though it's essentially a top-loader, limiting the size of hard items that will fit within. Soft items, such as bags, fit easily, however, enabling a weekend trip for two with ample space. Operating the standard soft-top is a cinch, easily raised or lowered even from within the car. Flip the latch, drop it back, reverse to put it back up. The power hard top is even easier, with a 12-second open/close time, and it stows between the rear bulkhead at the trunk, preserving 5.3 cubic feet of trunk space--easily enough for a pair of overnight bags. The soft-top isn't as well-insulated as some, letting in a fair amount of road and wind noise. The power hard top is well-insulated, however, and secure as well. The lack of official crash test results and high-tech safety features may be worrisome, but the 2012 MX-5's maneuverability may help it avoid some accidents. 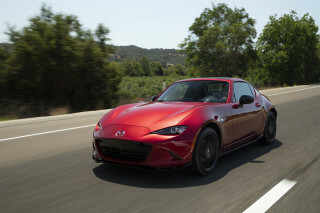 The 2012 Mazda MX-5 hasn't been crash-tested by either the NHTSA (National Highway Traffic Safety Administration) or the IIHS (Insurance Institute for Highway Safety). Its small size, light weight, and open-top construction might cause some concern, but its balanced handling, rigid construction, and excellent braking can help avoid accidents in the first place. The MX-5 comes with anti-lock brakes and front and seat-mounted side airbags, and for 2012 adds standard stability or traction control on base models. The roll hoops aren't just plastic window dressing, but functional guards in the event of a rollover. They aren't especially high, however. Given the relative size of the MX-5 to many other vehicles on the road, even with all of the optional safety features, MX-5 owners will do well to use the vehicle's accident-avoidance capabilities whenever possible. The 2012 Mazda MX-5 errs on the side of simplicity and functionality, but can still be optioned with most of the modern conveniences you'd expect. Sports cars weren't always high-tech demonstrations of the latest and greatest gadgetry--and in the MX-5's case, they're still not about all of that, at least in Sport and Touring trims. Standard equipment includes power windows, locks, and mirrors; a CD player with AM/FM radio; and tilt steering. Touring models add cruise control, steering-wheel audio controls, trip computer, and keyless entry. Grand Touring models, on the other hand, can feel nearly luxurious, with the addition of leather trim, heated seats, automatic climate control, and more. Optional extras include a six-speed automatic transmission, satellite radio, and a sport suspension. Popular, even common, features found on many cars in the entry-level segment remain absent, including Bluetooth hands-free phone connectivity and navigation. The Power Retractable Hard Top models offer a well-designed, quick, and secure folding hardtop that weighs just 80 pounds more than the soft-top model, however, effectively allowing the owner to convert between roadster and coupe at will. An optional Bose audio system adjusts equalization and other settings based on road speed and whether the top is up or down. The 2012 Mazda MX-5 isn't as efficient as its size and weight would indicate, but it's still greener than many sports cars. With just one engine option and three transmissions, all variants of the 2012 Mazda MX-5 are close to each other in fuel economy ratings, and they're all fairly economical, though perhaps not as much so as you'd expect given its light weight and small size. Models with the five-speed manual transmission score 21/28 mpg city/highway in EPA testing, for 25 mpg combined. The six-speed manuals also score 21/28 mpg, but 24 mpg combined. The six-speed automatic likewise scores 21/28 mpg, but rates 23 mpg combined. It's worth noting, however, that in our own testing, our editors have found the MX-5 capable of easily exceeding these EPA estimates in real-world use, frequently topping 32 mpg on the highway. A little slow off the line but once over 20 it's a blast. 12 second hard top would be better if I could drive at low speed and open or close. Could use some conveniences like bluetooth. More fun to drive than... A little slow off the line but once over 20 it's a blast. 12 second hard top would be better if I could drive at low speed and open or close. Could use some conveniences like bluetooth.